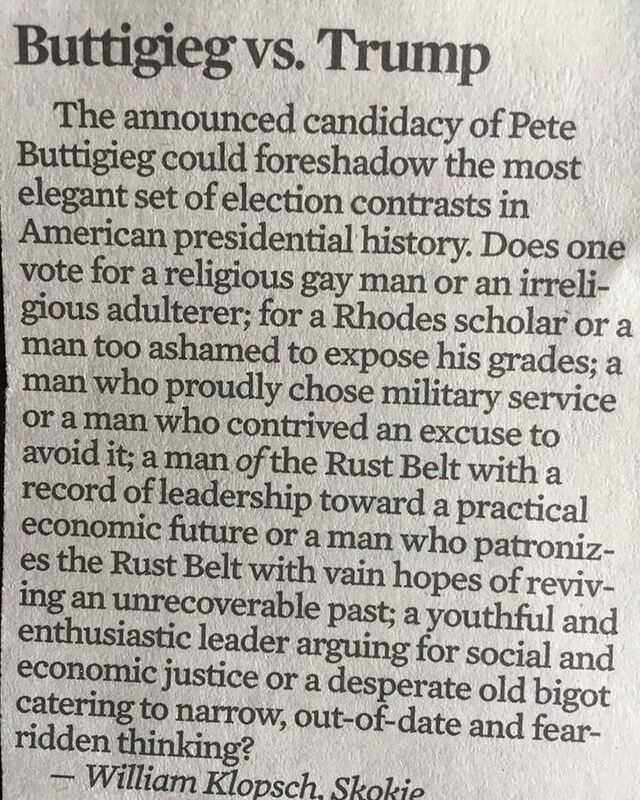 ABC News reports, unsurprisingly, that Mayor Pete Buttigieg was voted 'most likely to become president' his senior year in high school. Democratic presidential candidate Pete Buttigieg may have a leg up on his competition in 2020. 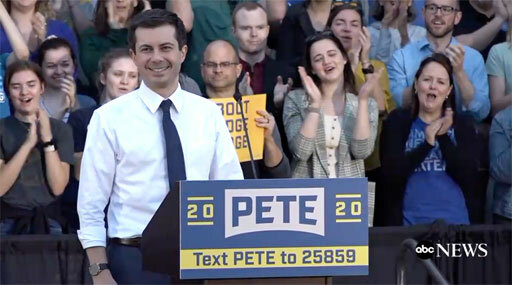 In South Bend, Indiana, Buttigieg is nearly universally known and nearly everyone seems to have a “Mayor Pete” story. “You know what else?” she asked. “Mayor Pete was also voted most likely to become president in our yearbook.” In 2000, then a senior in high school, Buttigieg was voted “most likely to become president” at St. Joseph High School. Checking on what my favorite InstaHunks have been up to this week. Dancer/choreographer Travis Wall (So You Think You Can Dance) is living his best Speedo life on Bondi Beach in Australia (above). Supermodel Tyson Beckford was giving you full-on 80s 'Physical' realness. This was Dancing with the Stars hunk Derek Hough's idea of 'super chill' on a Friday night. Madonna's latest duet partner, Latin pop star Maluma, says "good morning" like this, and I ain't mad. 30-year-old entrepreneur Francesco Lo Moro likes things in black and white every now and then. 'Tree man' Danny Jones is playing a game of "Who wore it better?" And Taxfighter in Hamburg, Germany, demonstrates how to really wear Andrew Christian underwear. Trans model Laith Ashley makes me grateful for black and white photography. And Rodiney Santiago is has found paradise. Give this photo one #hashtag . Deixe um #hashtag para essa foto . 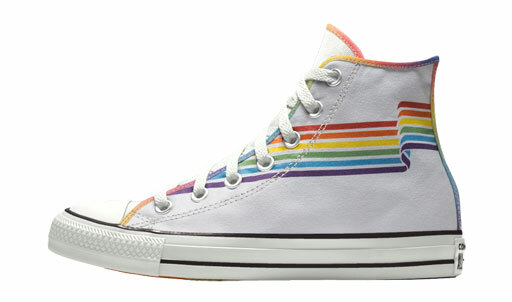 Pride Month is only weeks away, but Converse is already offering their 50th Anniversary of Pride sneaker collection. The sneaks are available for purchase now in adult and kid sizes and will set you back about $60-80 (free shipping). For the first time, transgender-themed sneakers are also available. 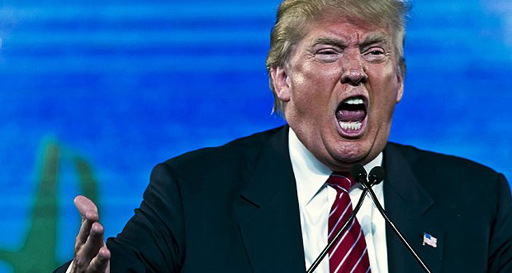 Donald Trump, who claims he was 'totally exonerated' (he wasn't) by the report from Special Counsel Robert Mueller can't stop ranting about it. He took to Twitter yet again this morning to rail about it yet again mentioning "angry Democrats," "conflicted Mueller," and the always obligatory ""no collusion, no obstruction." What the Mueller report actually did was find 10 episodes of potential obstruction. He detailed them in the report and left it to the Attorney General William Barr and Congress to decide if they rose to the level of a crime that could be proven in court. Political experts are also considering that Mueller didn't attempt to charge Trump with a crime because of a long-standing position in the Justice Department that a sitting president can't be charged. For all those folks calling for "Impeachment!" - it's not going to happen. Speaker of the House Nancy Pelosi knows it would be an act of futility because even if the House did vote of articles of impeachment, the Republican-led Senate would never convict Trump. And he would look like a martyr for the 2020 election. • I hear MTV Jersey Shore star Vinny Guadagnino, who joins the Chippendales here in Las Vegas as Celebrity Guest Host April 26 through May 26, is selling a LOT of tickets. And yes, men are always welcome at Chippendales. • A new Rasmussen Reports national survey finds that 59% of likely U.S. voters say they would personally be willing to vote for an openly gay president; 30% would not, 12% are not sure. • It's not just adults Donald Trump's transgender military ban is affecting. This college student lost his 3-year ROTC scholarship because of the new policy. • A 28-year-old man in Mississippi was beaten so severely - his jaw was shattered in two places - because his assailants thought he was gay. • 1995 drag classic To Wong Foo, Thanks for Everything, Julie Newmar is being re-released for Pride Month on Blu-Ray with special features including deleted scenes. • Christian home schooling parents, David and Louise Turpin, who beat, starved and held 12 of their children captive inside their home, were sentenced Friday to life in prison. • The music and the magic of Elton John’s incredible life comes to the big screen in upcoming musical fantasy biopic, Rocketman. Watch as the team behind the film discusses Elton John’s journey from prodigy to icon in this special look at Rocketman, in theatres May 31. Academy Award winner Charlize Theron has shared in an interview with The Daily Mail that her eldest child, Jackson, is transgender. Theron adopted Jackson as a baby back in 2012. At the time, she believed the child was a boy. It seems Jackson is very lucky to have a parent who can understand, adjust and continue with love. “And I will do everything in my power for my kids to have that right and to be protected within that,” said the 43-year-old actress. Being open and embracing of the LGBTQ community is nothing new for Theron. Back in 2009, she announced on The View that she wouldn’t marry her then-boyfriend, Stuart Townsend, until marriage equality was the law of the land in the U.S.
And during an appearance on Bravo’s Watch What Happens Live, host Andy Cohen asked her about playing a bisexual character in the film Atomic Blonde. Folks in social media are applauding Theron’s announcement. Theron understands what parental love and acceptance means to children. She grew up with an abusive father who would reportedly beat her mother. The domestic abuse continued until one day her mother had enough. One day, when Theron was 15-years-old, her father came home in a rage, carrying a gun and threatening to kill both mother and daughter. Instead, Theron’s mother, Gerda, shot the father dead. The shooting was later ruled an act of self-defense. So, Theron learned from a strong woman about standing up for her children and the truth. What a lucky little girl, indeed. Long before folks were getting their fashion fix discovering new design talent on Project Runway, Americans were gaga over the disco-chic glamour of Halston. 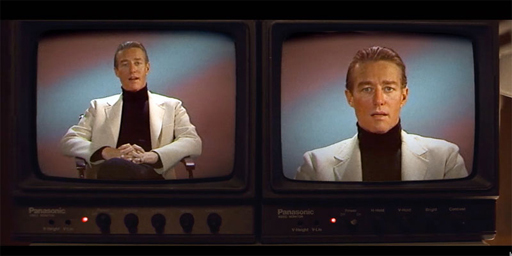 The new documentary by acclaimed filmmaker Frédéric Tcheng (Dior & I), titled Halston, chronicles the rise of America’s first superstar fashion designer. 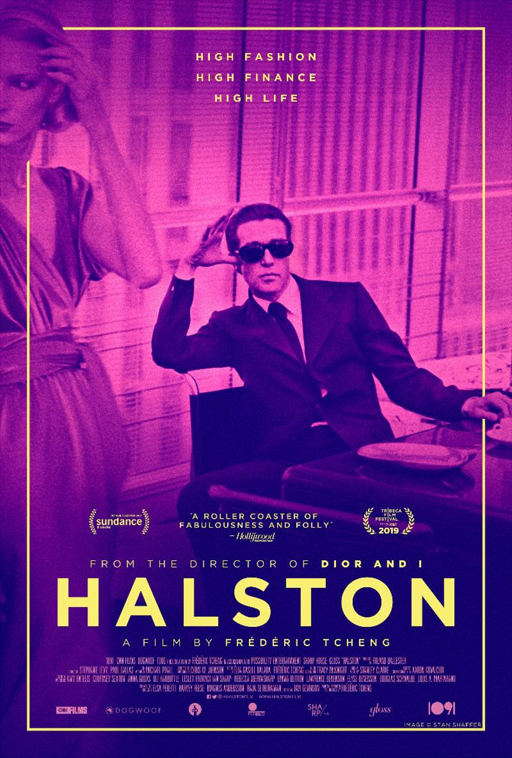 Using rare archival footage along with interviews with family, friends and famous clients like Liza Minnelli (“His clothes danced with you"), supermodel Iman, and Andy Warhol, Tcheng takes the audience behind-the-scenes as Halston struggles to find his artistic legacy amid the pressures of big business. Halston’s meteoric rise during the celebrity disco culture of the 1970s was sadly followed by a just-as-quick fall from grace after the designer sold his brand to JC Penney for a rumored $1 billion. Apparently, the glam was gone when you could buy it at the local mall. He would eventually pass away at the age of 57 in 1990 due to lung cancer related to HIV. Halston gets the red carpet treatment at the Tribeca Film Festival in New York City on May 24 prior to a wider release.